When I first looked into the issue of whether solo lawyers should Incorporate or Operate as a Sole Proprietorship in 2011, I concluded that most would be better off operating as Sole Proprietorships. It’s cheaper and easier to manage. That conclusion is strengthened given the California Court of Appeals’ decision in Wells Fargo Bank, N.A. v. Weinberg (Cal. App. 4th 2014) finding a solo lawyer to be his dissolved law corporation’s alter ego. 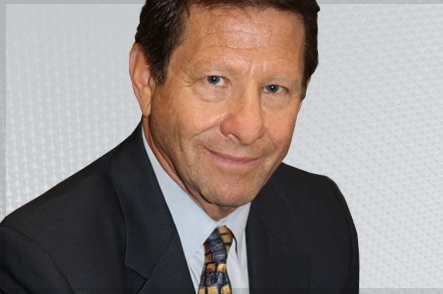 Back in October 1981, Riverside County medical malpractice attorney Steven Weinberg incorporated and began practicing as Steven J. Weinberg, a Professional Law Corporation. Sixteen years later, the law corporation opened a line of credit with Wells Fargo. A decade later, the law corporation defaulted on the debt to the tune of $57k plus interest and attorneys’ fees. Wells Fargo sued both the law corporation and Weinberg personally, claiming that he individually guaranteed the debt and (after judgment was entered) that he was the alter ego of the law corporation. At the trial court level, Wells lost on the guarantee issue but was permitted to pierce the corporate veil. all of the written discovery and refusing to attend a deposition” Consequently, when Weinberg tried ex parte to produce the records at the summary judgment stage, the court refused. Tip: Courts HATE discovery games and it appears that this court made a point of punishing Weinberg for his non-compliance. Although not expressly stated by the court, it may have suspected that the corporate records Weinberg wanted to submit were created after the fact. Because meeting minutes and shareholder resolutions are not filed with the secretary of state, it is easy for the sole shareholder to draft backdated corporate records and claim that they were prepared contemporaneously. As such, no documents that the corporate formalities were followed were in evidence – no annual meeting minutes, no shareholder or board resolutions. Tip: If you’re going to stay incorporated, at least print and sign an annual shareholder/board resolution ratifying all actions taken by you, as representative of the corporation. In reality, most 1-shareholder corporations do not hold official shareholder or board meetings where minutes are kept. When I operated as Flashpoint Law, Inc., I created a corporate binder to keep the resolutions and corporate documents, but it became a hassle to manage, thus precipitating my decision to dissolve the corporation. Weinberg wrote himself 200 checks for $420k in the 2 years before the law corporation dissolved. At one point, he did not know what they were for. At another, he claimed that they were to repay loans to the corporation, but produced no documents confirming the existence of the loans. Tip: When writing a check to your law corp and recording it in Quickbooks, make sure it says “loan” or “interest-free loan”. In reality, most law corp owners add capital/loan money to their corporation when it needs it and take it out when they need it. It’s not their personal bank account, but it’s under their complete control. Moreover, unless the law corp earns a regular and steady stream of income, draws are usually ad hoc and vary month to month. So, it is not unusual to see lots of payments to/from the corporation and its shareholder. After dissolving the corporation, Weinberg continued practicing law “under the same name, using the same offices, employees, equipment, website and phone number. He owned the building and continued driving the car that the corporation had paid for. So to the outside world, Weinberg appeared to be the successor-in-interest to the corporation. Tip: You can’t walk away from the corporation’s liabilities but its assets without fair compensation. From the opinion, it did not appear that Weinberg paid the corporation to acquire the law practice and all of its assets. To avoid this issue, when I dissolved Flashpoint Law, Inc., I expressly assumed all of the corporation’s liabilities. Tip: To assume your law corp’s liabilities, file Domestic Stock Corporation Certificate of Dissolution form and under 3. Debts & Liabilities, check the box that says “The corporation’s known debts and liabilities have been adequately provided for by their assumption and the name and address of the assumer is” and entered your contact information. Tip: Do not operate the law corporation and the sole proprietorship simultaneously. Dissolve one before opening the other. Otherwise, creditors can claim that you breached your fiduciary duty to them. In all likelihood, sole practitioners will be found to be alter egos of their law corporations, especially if they act as Weinberg did. With few exceptions, single shareholder corporations (law corps or otherwise) do not following corporate formalities and for good reason. It is beyond hyper-technical to require official shareholder meetings and minutes of 1-shareholder corporations. Arguably, anytime a shareholder is conducting business on behalf of the corporation, he’s having a meeting or taking an action on behalf of and with full authorization of the shareholder. There is no practical use to having to create 1-page meeting minutes that say: “On X date, there was a meeting of the sole shareholder and sole director of YY law corporation. The single shareholder and director was present. All actions taken in the past year by the corporation and its representative were ratified. The director was reappointed.” But, that’s what sole shareholders need to do. In sum, unless your accountant can justify a benefit to incorporating, its not worth the hassle or cost. Shirish Gupta is an award-winning mediator and arbitrator with JAMS. He is a past-Chair of the California State Bar Solo and Small Firm Section Executive Committee and had his own solo practice from 2008 through 2015.